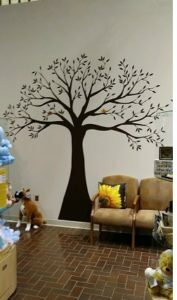 Please stop by the Gift Shop at Rochester General Hospital to see our new “Giving Tree” graphic located on the East wall. Just a $1 donation will purchase a colorful leaf to help decorate the tree. All proceeds from this in-shop fundraiser will go directly toward our pledge for the new Neonatal Intensive Care Unit in the Sands-Constellation Center for Critical Care.